Samsung’s Galaxy S III has served the company well for many months, launching the Korean firm into direct competition with Apple’s popular iPhone. It’s a powerhouse Android handset but as is typical in the tech industry, enthusiasts always have their eyes set on the horizon in search of the next big thing (no pun intended). That big thing, we’re told, is already well under way behind the walls at Samsung. It’s called Project J and it’s expected to be announced by April 2013. Project J, as you might have guessed, is simply the codename for the Galaxy S IV – the successor to what most could argue was this year’s best Android phone. Details on the Galaxy S IV are sparse at this hour but most in the know expect it to carry a Samsung Exynos 5450 chipset with a quad-core Cortex-A15 processor, 2GB of system RAM, a 13MP rear camera and a 5-inch 1080p screen. 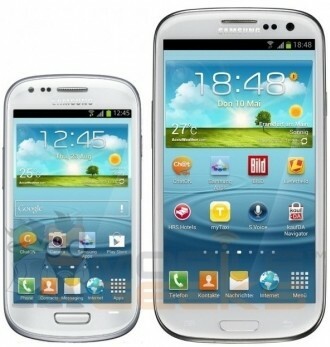 In addition to the Galaxy S IV, we are also hearing rumblings about a revised Galaxy Note II. This updated handset would simply be a more affordable version of that was just recently released. As we understand it, the cheaper Note II would not include an AMOLED display or the device’s trademark stylus. Rumors suggest it would first launch in Europe before making its way to other markets. And last but not least, we are hearing that Samsung is also planning to launch a slate in the 13.3-inch range to compete directly with Asus’ transformer tablet. Samsung will put the tablet up for sale alongside an optional QWERTY keyboard dock much like Asus’ offering. No word yet on when this 13.3-inch tablet will become a reality, however.